Last week, Gov. Gavin Newsom announced a notable shift from his predecessors’ policies pertaining to school facilities. When the voters of California approved Proposition 51 in 2016, which provided $7 billion for K-12 school facilities construction and modernization projects, then-Gov. Jerry Brown was less than supportive of the bond measure, due to his concerns over the existing School Facilities Program. As a result, his subsequent budget provided only $653 million in Proposition 51 funds, during a time when the Office of Public School Construction had received more than $3 billion in school funding applications. Gov. Newsom’s proposed 2019-20 budget reflects his support for school facilities and recognition of the growing need that is a decade in the making. He proposes releasing $1.5 billion in Proposition 51 school facilities bonds, and also plans to invest an additional $1.2 million to hire 10 more positions within the Office of Public School Construction to process the outstanding funding applications. CSBA has been working with a coalition comprised of the Coalition of Adequate School Housing, the Association of California School Administrators and others over the past year to better inform the Legislature about the growing backlog of projects. Additionally, CSBA is requesting that school projects on the OPSC Workload List be processed immediately and submitted to the State Allocation Board for funding. Many of the projects on the Workload List have been awaiting funding since 2014. While the $1.5 billion proposed in the January budget is a tremendous recognition, there is still more work to be done. CSBA and others have been working with legislative offices (such as Sen. Mike McGuire and Assemblymember Patrick O’Donnell) to increase the proposed funding levels. 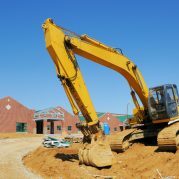 CSBA recognizes that the longer these school projects linger on the Workload List, the cost of construction continues to escalate, reducing the local buying power to build necessary school construction projects and fulfill the promises made to the local communities. This issue will continue to be a priority for CSBA throughout the year.